There is an increase in dry eye symptoms among younger patients due to excessive use of digital devices, a study has said. Dr Amber Gaume Giannoni, a local optometry specialist with the College of Optometry at the University of Houston, on Wednesday said the more children stare at a screen, the less they tend to blink, which results in dry eye symptoms, because blinking helps stimulate the glands used to moisturise the eyes. 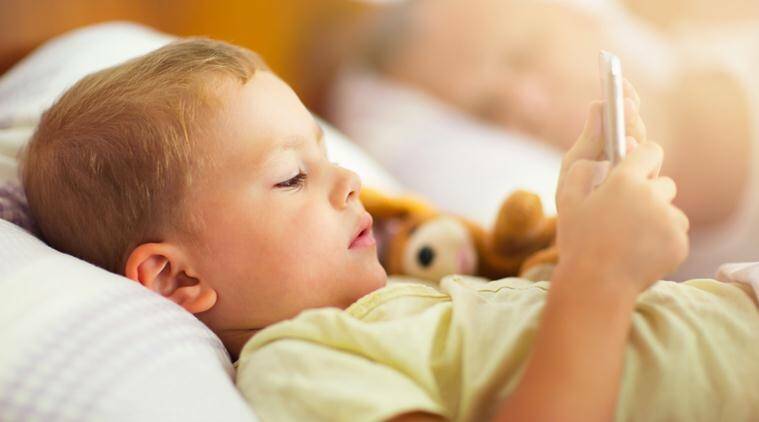 The study also showed that children as young as eight can spend six hours a day in front of a screen, Xinhua news agency reported. Giannoni suggested parents set limits to their children’s screen time and pay attention to such symptoms as forcefully blinking, eye rubbing and eye redness. She recommended a method of 20-20-20 to decrease digital eye strain — a 20-second break for every 20 minutes of staring at a digital device, and looking 20 feet (about six metres) away or somewhere off into the distance. Parents should take note that the children who spend a lot of time on their smartphones and computer devices may be at a high risk of developing dry eye disease. It was seen that children who did not have access to smart phones and other electronic devices, had less chances of developing the dry eye disease. To keep your children safe, try to keep them away from smartphone for as longer as you can, it’ll definitely help their eyes which in turn will help their all over performance in studies and extra curricular activities.